Earth First offers a full range of media products in two categories: Pre-recorded and Recordable. Custom projects requiring unique shapes for specific applications are also available through consultative ACSS professionals. From digital mastering through final packaging and shipping, Earth First has the most complete hassle-free solution to suit customers’ needs. At the forefront of the media industry, Earth First has access to the most comprehensive resources and cost effective production processes for optical media manufacturing. Weather is be short or large runs Earth First assures gives all of its discerning customers the necessary competitive edge without compromising standards. Through years of industry experience, Earth First understands how inflexible standardized manufacturers typically are and their inherent difficulty with accommodating individual customers. As a result, Earth Firsts Project Consultants work exclusively as the customer’s interface so that specific needs are effectively communicated through the production process. Earth First implements stringent protection measures for Intellectual Property Rights as an integral part of the manufacturer-client service agreement. ACCS ensures complete protection throughout all production and delivery processes. Click here to go back to the DVD Copying main page. 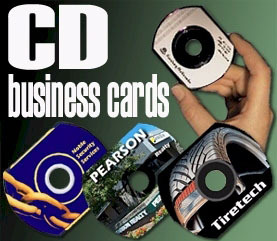 Go no further Earth First can cater for all your CD & DVD Replication Services. Click the image for more information .